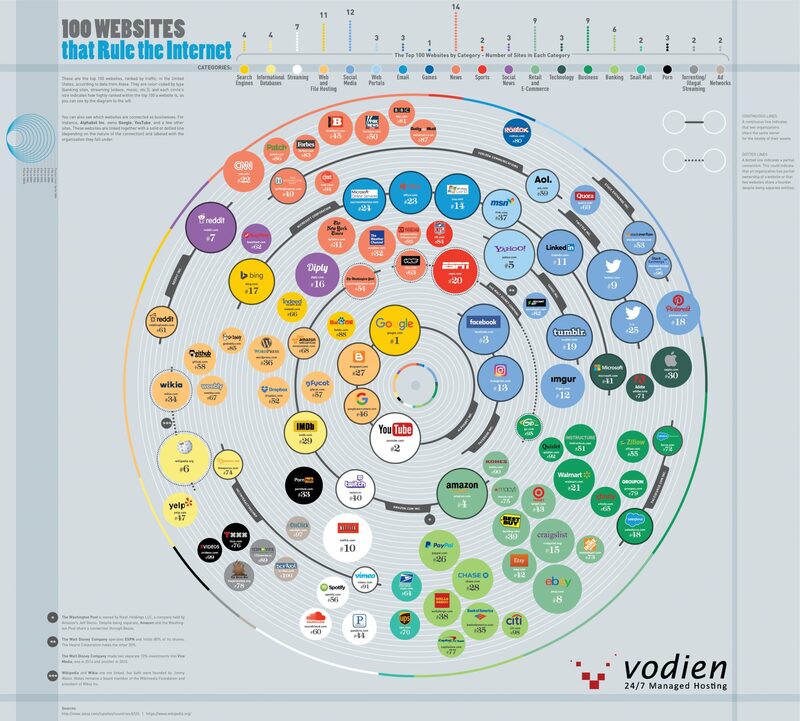 Today’s infographic comes to us from Vodien, and it lists the 100 highest ranking websites in the U.S. by traffic, according to website analytics company Alexa. Infographic developed by Vodien.com. For the full-size version of this giant infographic click here. There are over 1.1 billion websites on the internet, but the vast majority of all traffic actually goes to a very select list of them. Google.com, for example, has an astounding 28 billion visits per month. The next closest is also a Google-owned property, Youtube.com, which brings in 20.5 billion visits.